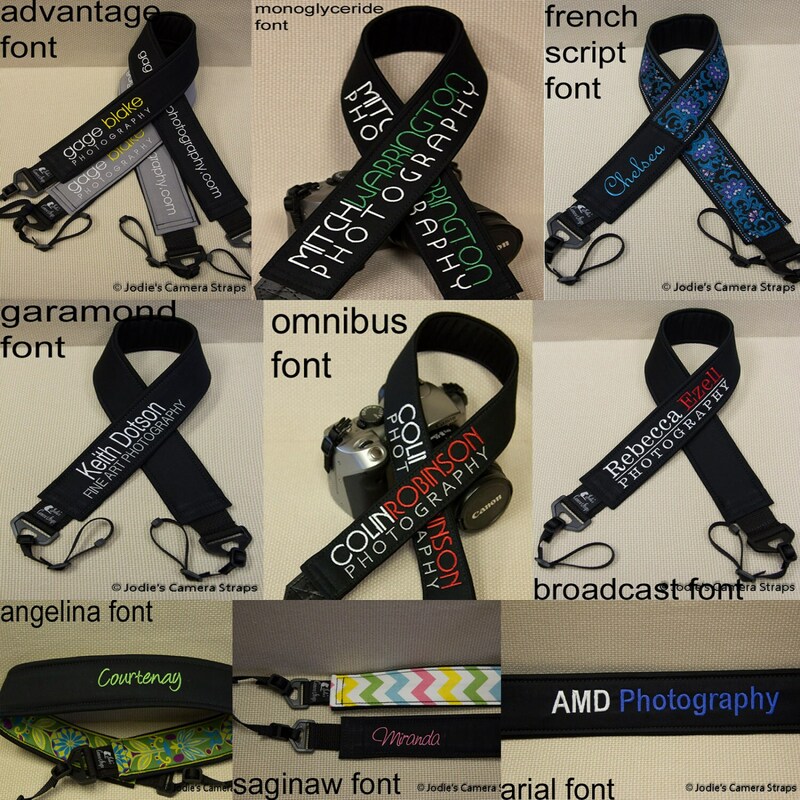 Add personalization to your camera strap (STRAP SOLD SEPARATELY) - business names or logos, personal names, monograms. Fonts shown are examples - I have hundreds of fonts on file so let me know what you like. After I have all of your details I will send a stitch simulation for your approval before I start on your camera strap. You must approve this before I can start on your strap, so watch for a convo from me with that information. Please note: occasionally some complicated or very detailed logos may require additional editing or setup time and may incur an additional fee, but I will let you know if this is needed. This camera strap is beautiful and well made! It’s soft and comfortable to wear around your neck! I had opted to have it monogrammed and it turned out very nice. I was extremely late on ordering it for a Christmas present for my daughter but was delightfully surprised that it was delivered Christmas Eve. The strap was done and shipped in an extremely timely manner. This company exceeeded my expectations!